Dan Katzenberg has been working for the Dept. of Correction nearly 14 years. 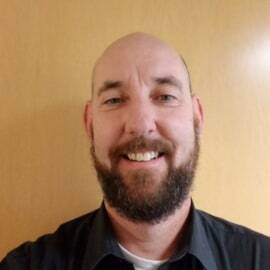 His experience ranges from working in several corrections facilities throughout the state and across all security levels and for the last half of his career he has been working with the Division of Adult Parole as a Community Re-Entry Specialist and currently as an Employment & Training Navigator. His current focus is on establishing partnerships with community and faith based organization, as well as government organizations and employers to provide a quicker and smoother entry into the workforce for formerly incarcerated individuals. His work entails identifying and utilizing available training programs in the community to improve his clientele's marketability along with direct referrals for employment or employment based programs.